Accent your gender reveal party and keep guests guessing with this fabulous chalkboard style table runner decorating the food table. Personalize with up to two lines of custom text in the lettering styles shown. 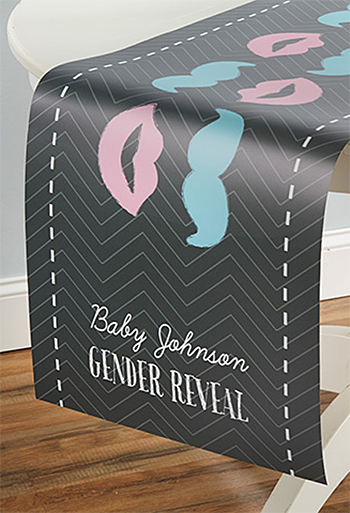 Each table runner features a color scheme of blue, pink, and black accented with little man mustaches and little lady lips.